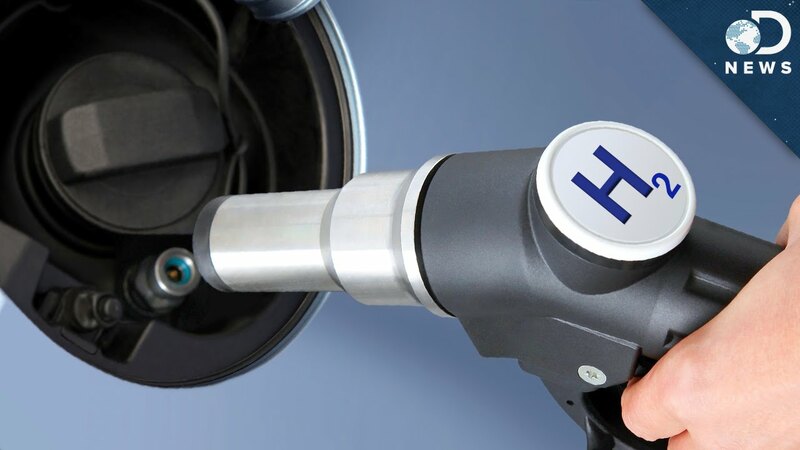 Hydrogen production study focused on new method by photocatalytic reforming was released by scientists in the United Kingdom. A team of researchers from various universities of the United Kingdom published a new study on sustainable hydrogen production from raw biomass through innovative approach using photocatalytic reforming. The study focused on a new method for sustainable hydrogen production using sunlight and biomass. The aim of this approach is to use solar energy for the activation of the catalysts involved in the reforming of these substances. In fact, the photoreforming process results in an improvement in the photocatalytic water-splitting process by the presence of the organic component as a hole scavenger. Hydrogen from biomass cropping systems? Earlier, it was demonstrated that hydrogen could be obtained by photoreforming cellulose, but cellulose requires to be produced through biomass pre treatment in order to purify it, which requires more energy and therefore high emissions and environmental impact. The authors of this new study belong to the School of Chemistry and Chemical Engineering, Queen’s University Belfast and they had a previously published analysis in which a first hydrogen production tested photocatalytic reforming in fescue grass. Additionally other projects have been addressing very sustainable alternative feedstock options. 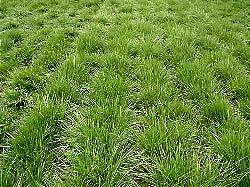 For example perennial energy grasses such as “vetiver” and Napier grass (Pennissetum purpuerum) both warm perennial grasses used for energy, erosion control, fodder, pulp for paper and many other industrial applications with great environmental impact even in marginal lands. These crop alternatives which great potential and many other options for marginal lands bioenergy could be a great regenerative alternative for soils at the time a very efficient process and conversion pathway for energy becomes viable and realistic. But raw biomass as that of perennial grasses can be used to produce hydrogen instead of cellulose with good yields comparing with purified cellulose use. Firstly, clean hydrogen from photoreforming is produced by bioalcohols like methanol, ethanol and glycerol which come from starch, sugars and oils. 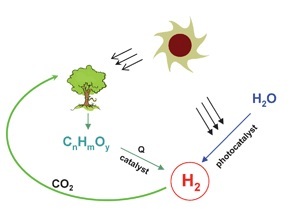 Hydrogen production from renewable sources: biomass and photocatalytic opportunities. R. M., Navarro, M. C., Sánchez-Sánchez, M. C., Alvarez-Galvan, F. del Valle, J. L. G., Fierro (2009). Therefore until now cellulose was obtained and purified after pretreating biomass, but this new option could guarantee a clean, ecological and cheap method for producing hydrogen. The catalysts used in the reactions are metals (Pt, Pd, Ni, Au) with supports (TiO2, Cu2O, Cd0.5Zn0.5S, Fe2O3). It is expected that in the next years the incoming clean source energies as biomass and hydrogen will grow up to see them widespread and incorporated to the world energy network. Igor de las Heras López, is one the interns of Bioenergy Crops Ltd He collaborated with us during June/September (2016) working on innovative patwahsy for biorefinery development. He is chemical engineer focused on green biomass processing and conversion to energy and biomaterials.